A picture of Zimbabwe Electoral Commission Chairperson Priscilla Chigumba's picture seemingly heavily pregnant has gone viral. In the picture, Chigumba is seen receiving something like a certificate from a white man presumably a member of EISA. Chigumba came under fire in 2018 after she was accused of leading ZEC to rig elections if favour of the current President Emmerson Mnangagwa. Before Zimbabwe's watershed election where President Mnangagwa was challenged by MDC leader Nelson Chamisa, Chigumba was reported to 'be enjoying an intense sexual relationship' with a married Zanu-PF Minister Winston Chitando. Mines and Mining Development Minister Winston Chitando is a relative and business partner of current Zimbabwe president Emmerson Mnangagwa and has admitted the relationship to former Sunday Mail editor Edmund Kudzayi who published finer details of the affair on the microblogging site Twitter on Friday morning after a week-long wait. Chigumba who fell pregnant while doing her A-level studies at St Ignatius College had an intimate relationship with Chitando following her divorce from McChristopher Chigumba 10 years ago. 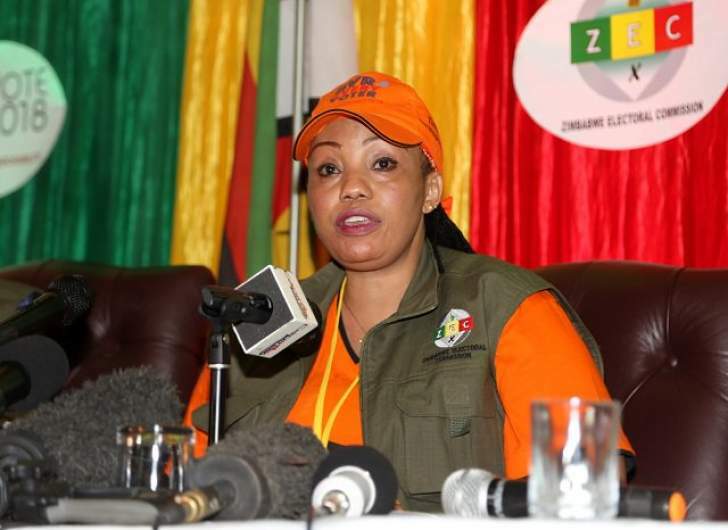 Kudzayi called for Chigumba to resign from her post arguing the affair seriously compromises her credibility to run the independent electoral body. "So,ZEC chairperson Justice Priscilla Chigumba has a sexual relationship with Zanu PF cabinet minister Winston Chitando. This presents a clear conflict of interest: if Zanu PF loses the election her lover will lose his job. She must do the right thing and resign. Ndatenda," wrote Kudzayi. "I don't intend to humiliate Chigumba or to invade her privacy tabloid style. All I seek is to expose a clear conflict of interest that likely explains Chigumba’s arrogance against overwhelming evidence of ZEC's mismanagement of the election. She is conflicted & must resign," he added.